Thermocouple operation is based on the fact that when wires of two different materials are joined together at each end and the two joints are located at different temperatures, a voltage is generated proportional to the temperature gradient – this is termed the thermoelectric effect. Various material combinations are used to obtain the best output for a given temperature range and these are described by the ISA letters T, J, E, K, etc. Techni Measure can supply industrial thermocouples from the Conax Technologies with a wide variety of sensor elements, protective sheath materials, probe constructions and mounting styles. Thermocouple wire is also available for extension or for manufacturing your own thermocouples. Techni Measure will be happy to help you select the correct thermocouple for your application. RTD’s are based on the electrical resistance change within a material that is proportional to temperature. The resistance increases with increasing temperature and the most common material is Platinum. Various sheath materials, probe constructions, and lead wire output options are available, please ask for advice or details on the range available. 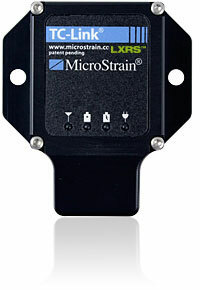 LORD Microstrain offer the TC-Link range of wireless nodes suitable for wireless transmission of temperature data from all standard thermocouple sensors. Please ask for further information.